The presentations for the lectures are available in encrypted ZIF - only for the authorised students and only for educational use. Piccinini G., Computation in Physical Systems, [in:] The Stanford Encyclopedia of Philosophy, E. N. Zalta (ed. 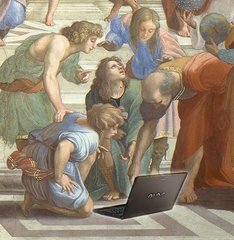 ), Metaphysics Research Lab, Stanford University 2017, https://plato.stanford.edu/archives/sum2017/entries/computation-physicalsystems/. Dodig-Crnkovic G., Müller V.C., A Dialogue Concerning Two World Systems: Info-Computational vs. Mechanistic, [in:] Information and Computation, M. Burgin, G. Dodig-Crnkovic (eds. ), Singapore 2011, pp. 149–184. A student will be examined orally (English or Polish) on a base of a set of open questions regarding the course's content. There is a possibility of writing a final paper instead of the oral exam. Additionally, student's activity during the class may raise one's grade.